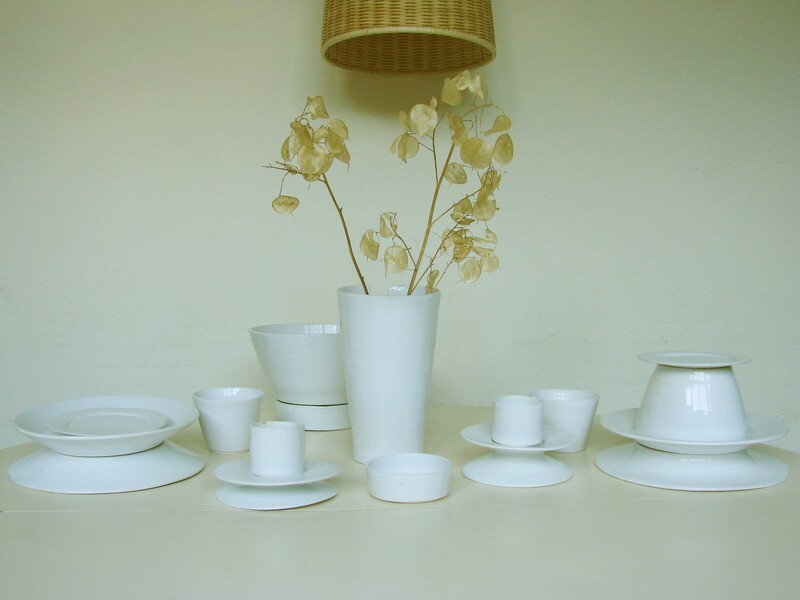 « Totem vajilla » is a tableware service for 2 to 4 persons. 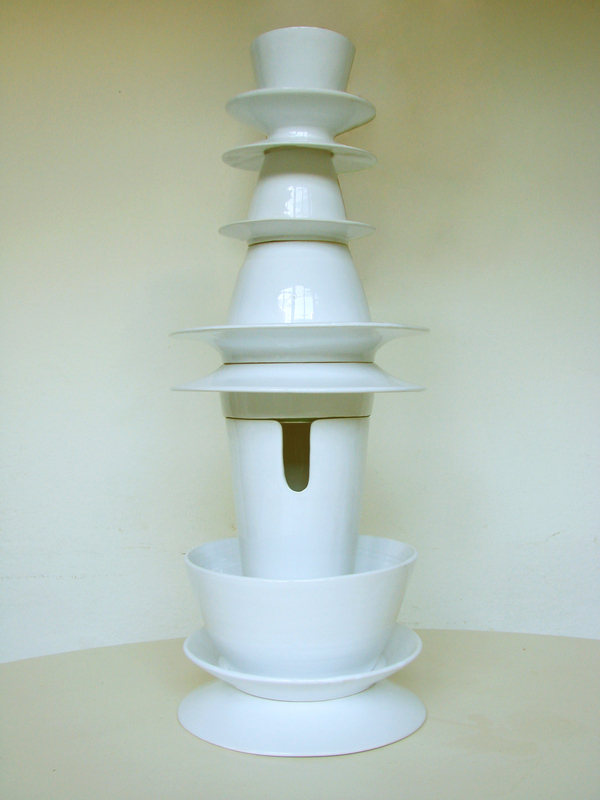 The user can pile up the dishes with an assembly system that allows to create a totem sculpture he can personalize according to combinations he needs. A code of 3 colors is set on the bottom of each piece in aim to recognize the 3 different diameters and make the assembly easier. 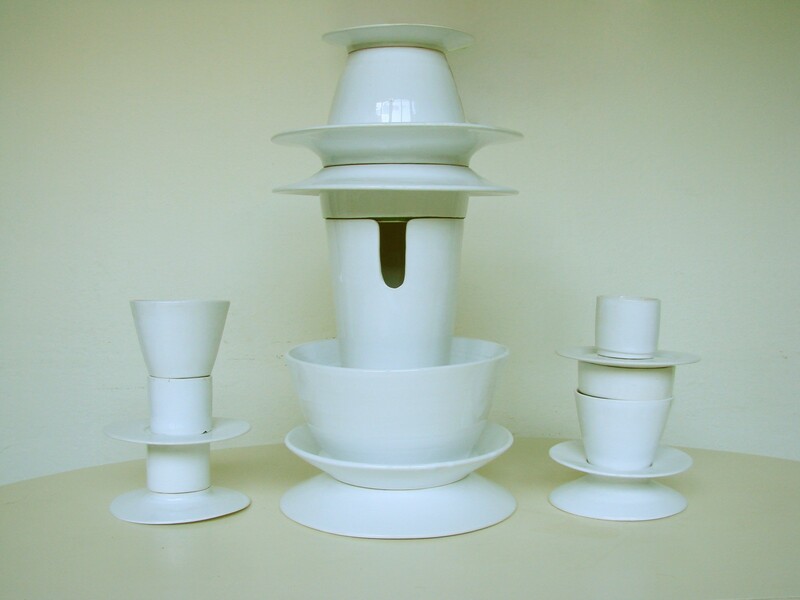 This project is a prototype created from original pieces made with pottery wheel and reproduced with moulding process in aim to slip-cast the pieces in an industrial way. « Totem Vajilla », personal project developed in Apparatu Studio, 2012.